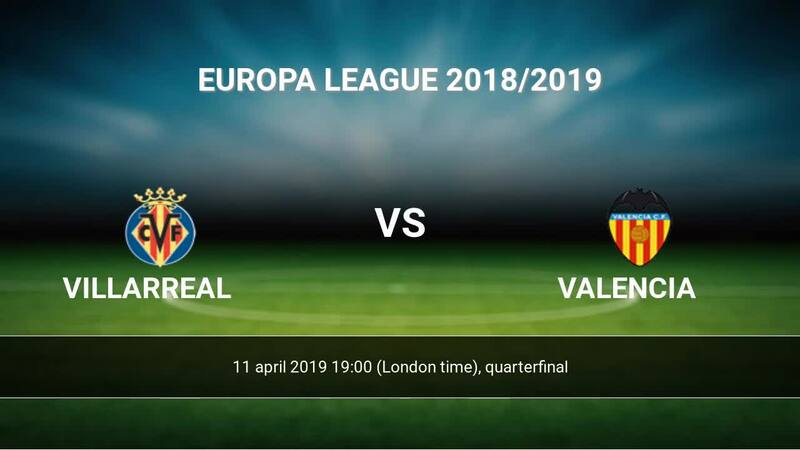 Match Villarreal-Valencia Europa League the fixture is set to kick-off today 19:00 on Estadio de la Ceramica. Refereee Michael Oliver. Villarreal takes place, which promoted to the European cups. In 5 last games (league + cup) Villarreal get 0 points. Players Villarreal in Europa League with the highest number of goals: Gerard Moreno 4 goals, Karl Toko Ekambi 3 goals, Pablo Fornals 3 goals. Players Gerard Moreno 1 assists, Karl Toko Ekambi 3 assists, Pablo Fornals 3 assists will have to be very well guarded by defenders Valencia, because they have the most assists. Injuries in the team Villarreal: Manuel Trigueros, Miguelon, Bruno Soriano. Valencia takes place, which promoted to the European cups. Last 5 games (league + cup) finished balance 0 points. Players Valencia in Europa League with the highest number of goals: Rodrigo 2 goals, Kevin Gameiro 1 goals, Denis Cheryshev 1 goals. Players , Kevin Gameiro 2 assists, Denis Cheryshev 1 assists will have to be very well guarded by defenders Villarreal, because they have the most assists. Injuries in the team Valencia: Ruben Sobrino. 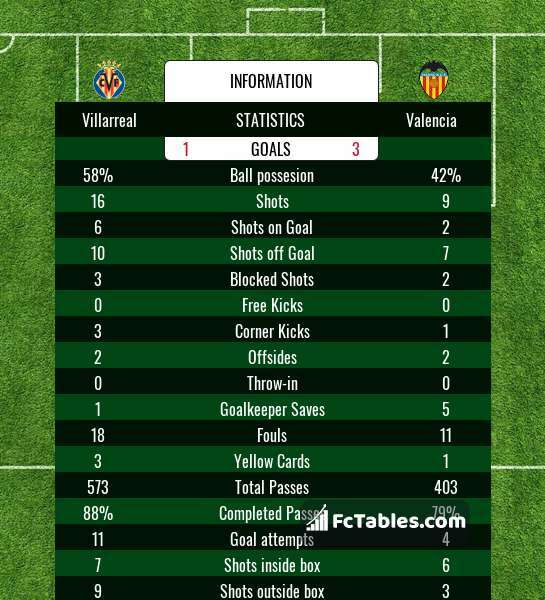 Direct matches: Valencia won more direct matches. 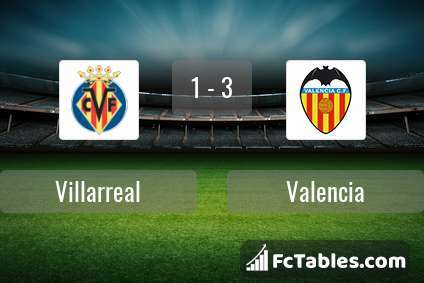 Villarreal won 16 matches , Valencia won 16 direct matches, was a 10 draws. In 20 matches the sum of the goals both teams was greater than 2.5 (Over 2.5), and 29 matches teams scored more than 1.5 goals (Over 1.5). In 20 matches the both teams scored a least one goal (Both teams to score).